Tanzania Electric Supply Company Limited (TANESCO) is implementing its strategies to increase access and connectivity of its energy services and products for Tanzanians to support the government’s industrialization agenda. The company is currently expanding its business by investing heavily in generation, transmission and distribution network. 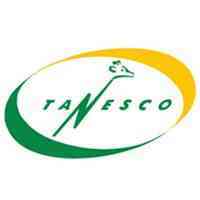 In line with this, TANESCO now invites INTERNAL & EXTERNAL applicants who are qualified, self-motivated, honest, hardworking and committed individuals to fill the under-mentioned position under SPECIFIED PERIOD EMPLOYMENT TERMS OF TWELVE(12) MONTHS PERIOD in Tabora, Katavi and Shinyanga regions. • Be capable of delivering excellent results while working under pressure with tight deadlines. a) Operates assigned vehicle in a safe and courteous manner to ensure safety of the vehicle and passengers. b) Adheres to Company Transport Policy, Rules and Procedures and maintaining discipline to road traffic laws, rules and signs. c) Records all routes in a log book in order to monitor fuel consumption. d) Keeps the assigned vehicle(s) clean inside and outside. e) Maintains accurate, up-to-date records on trip sheets, transportation forms, vehicle maintenance, incident reports, accident reports, fuel utilization, vehicle condition reports and other records that are requested by management. f) Performs minor maintenance tasks on assigned vehicle(s) as required. g) Coordinates the schedule for major or periodic vehicle maintenance with management. • Minimum of one (01) year of related working experience. (e) Preparation of Local Purchasing Orders to ensure that items purchased satisfy business needs and the company achieve value for money.  Ordinary Diploma in Material and Logistic Management, Procurement or equivalent.  Certificate of Secondary Education (Form IV and/or VI). e) Preparation of Local Purchasing Orders to ensure that items purchased satisfy business needs and the company achieve value for money.  Ordinary Diploma in Material Management and Logistic, Procurement or equivalent.  Must be registered member of professional relevant professional body. Responsible for budgeting and accounting functions in the Regions and Districts. (a) Assist in ensuring safe custody of cash received and timely banking, keep all documents related to banking in safe custody and handle daily banking activities in the Districts/Regional offices. (b) Assist in certification of local purchasing orders, payment vouchers and responsible for issuing and closure of Capital works orders numbers generated from the system as well as maintaining the register for records keeping as per accounting instructions. (f) Assist in carrying out bank reconciliation and general ledger for financial account preparation to ensure all accounts are balancing.  Diploma in Accountancy, Finance from a recognized learning institution.  A minimum of one (1) year relevant working experience.  Secondary Education Certificate (Form IV and/or VI). a) Constructs and maintains distribution lines network in accordance with the company procedures and standards. b) Assists in preparing short & long term plans construction/maintenance schedules for expansion of distribution network. c) Monitors load growth on secondary sub-station through periodic measurement. d) Conducts routine inspection of distribution lines to determine and prevents possible faults and eliminate unplanned power outages. e) Provides technical support to Foremen such that all construction and maintenance works are conveniently done in accordance with company’s standards and instructions. f) Prepares weekly, monthly and annually report for record keeping, future references and submit to mains engineer within agreed timelines. g) Maintains and repairs electrical systems, do performance maintenance of electrical systems. h) Carries out diagnostic analysis to determine causes of electrical or mechanical malfunction or failure of operational equipment and performs preventative and corrective maintenance. i) Plans, directs, and records periodic electrical testing, and recommends or initiates modification or replacement of equipment which fails to meet acceptable operating standards. a) Assist in coordination of staff recruitment and selection process in order to timely hire staff. b) Assist the Regional Human Resources Officer on analyzing manpower needs by identifying gaps and propose staffing levels to ensure that engagement is done as per staff establishment. d) Provide information and assistance to staff, supervisors on human resource, staff welfare and other work related issues. e) In liaison with supervisor and heads of department, assist in analyzing training needs to ensure training is aimed at plugging performance gaps. f) Assist in handling industrial disputes in accordance with labour laws currently in force, as well as Company code of good practice so as to minimize industrial disputes. g) Assist in implementation of staff disposition as may be decided by the management. h) To provide support in provision of administrative services in line with Company’s policies and standards. • Bachelor’s degree in Human Resources Management, Public Administration from recognized higher learning Institutions. • Relevance experience in Human Resource Management and Development for at least one year. c) Assist all users with the administration of printers, scanner, workstation and other computer peripherals. d) Assist with the maintenance of telephone system, including telephone switches. e) Assist with the creation of new hire telephone and voicemail extension, routing extensions to appropriate locations and. f) Assist in supporting corporate applications; user desktops, etc. g) Assist with basic troubleshooting, and backup. k) Sets up of computers for new users and ensures delivery of equipment to users in different locations if necessary. l) Updates company phone lists and email address books. m) Keeps the ICT Assets inventory lists and ensures it is up to date. Keeps &maintains hardware maintenance schedules and due dates. n) Carries out maintenance operations for ICT Assets.  All Applications must be accompanied with detailed curriculum vitae, copies of relevant certificates, testimonials and contacts of three referees. • First appearance: 2nd April, 2019. • Deadline for submission of applications is 16th April, 2019. • Applicants must include reliable phone numbers for effective communication. • All Applicants who will not be invited for an interview should consider themselves unsuccessful. • Please note that phone calls or any kind of soliciting for these positions by applicants or relatives will automatically lead to disqualification. • Women and disabled are highly encouraged to apply.